In a city known for steak, Benny Siddu’s modern-day chophouse stays in line with the pack. 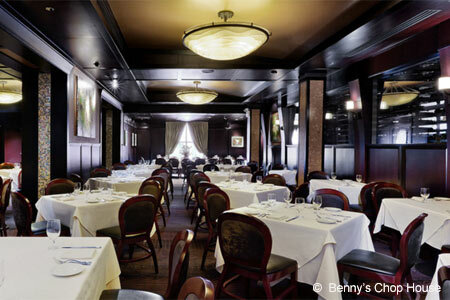 : Benny Siddu (Volare) is behind this spendy River North steakhouse, a den of Prime Allen Brothers meat and seafood. The setting is old-school steakhouse meets modern updates --- dim, clubby and with expansive private event space upstairs. Dry-aged steaks really are the focus --- tender, marbled and full of flavor with optional, indulgent toppings like foie gras, blue cheese, bone marrow butter and Oscar (hollandaise) sauce. An Alaskan halibut T-bone and creamy lobster risotto also stand out. Happy hour packs a big value; think bacon nachos brimming with hunks of thick cut bacon, avocado, jalapeño, tomato cilantro and aged cheddar, steak sliders, prawns and half-off wine, beer, spirits and cocktails from 3 p.m. to 6 p.m. during weekdays. 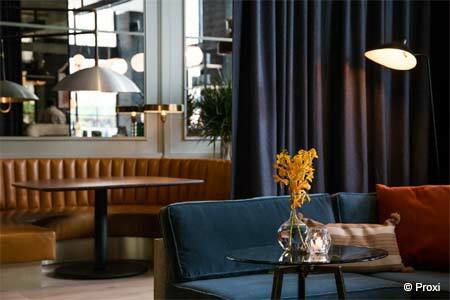 A well-traveled wine list, cocktail menu and raw bar complete the very posh experience.